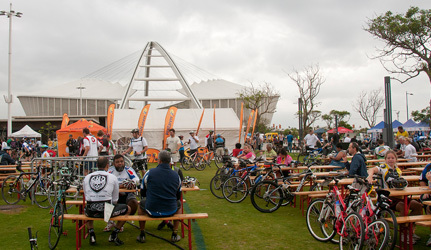 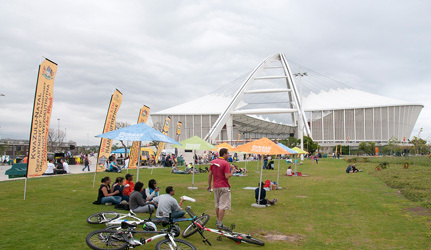 The 2011 Amashova Durban Cycle Classic, which cyclists have been tackling for a quarter of a century and keep coming back for more, ended at the Moses Mabhida Stadium after a gruelling 106km from Pietermaritzburg. 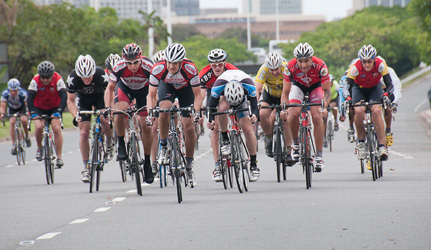 A difficult race with wet conditions at the start had the riders coming in slightly slower this year as well as lots of action on the route with some minor wipeouts due to the weather. 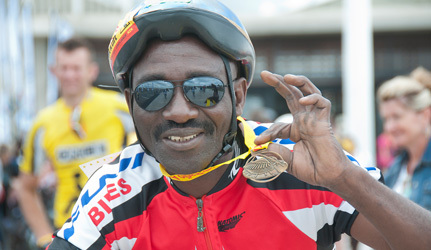 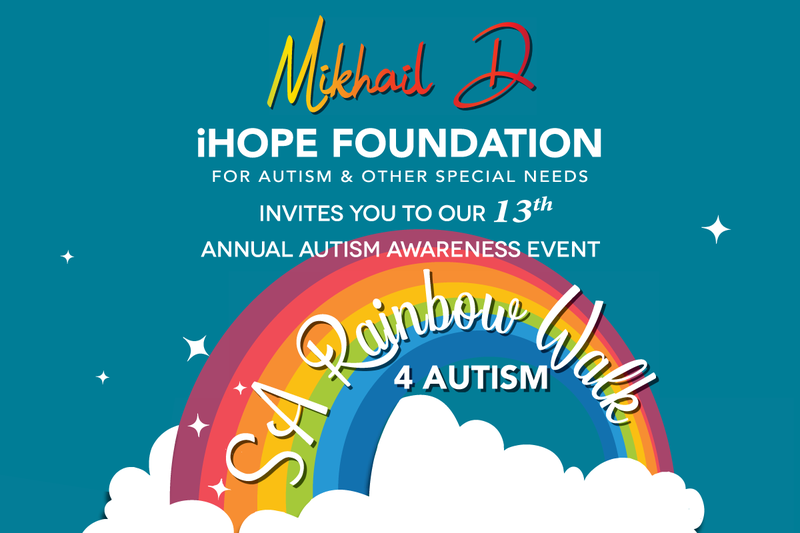 The Hoff certainly dominated the sprint to the finish and is the Amashova’s new champion of this prestigious race, winning in a time of 2:24:08. 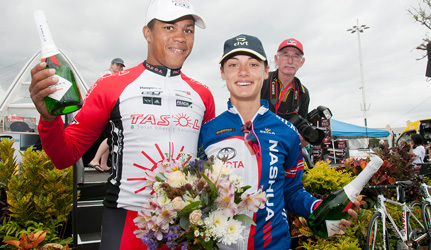 Leading lady – Ashleigh Moolman of Cape Town took top honours in a time of 2:49:06, just ahead of Joanna van de Winkel in second and Lisa Olivier in third place. 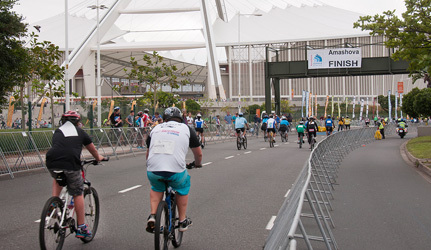 With over 10 000 riders participating in this year’s event and R100 000 in prize money, the Amashova Durban Cycle event certainly ended on a high.